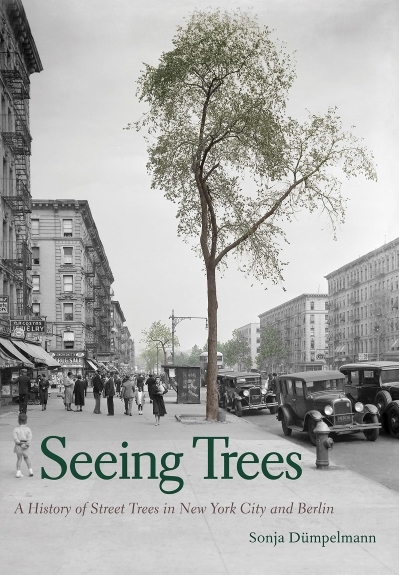 This is an interesting and detailed book that tells the story of street tree use and abuse through case studies comprising two cities that exhibited both contrasting and comparative situations. It begins with a useful summary of urban forestry within an introduction to the scope of, and justification for, the work. There then follow two substantive sections detailing the history of street trees in the two cities, with much of the emphasis on the last 100 years or so. The social-cultural dimensions of the two cities during this period provide an interesting contrast for the context of street tree management and gives an insight into the wide range of issues associated with urban greening in general over this dynamic time of urbanisation. Within these two main sections, the book considers a wealth of different topics: social attitudes towards street trees; environmental and social justice elements; public health impacts of urban trees; ecological considerations including species selection in the light of urban environmental conditions, pest management and conservation benefits; external influences including pollution and human interference; aesthetic considerations; and management and monitoring. While none of these are developed in depth, the positioning of each within the geographical and historical framework of the book helps to identify the relative importance of the topics as parts of an interacting whole. It would have been useful to have also had a consideration of street trees providing opportunities for education for populations that are increasingly restricted to built-up areas and divorced from more rural environments. The text ends with a short epilogue, sub-titled “Street trees of the future”. While an interesting section, there was perhaps potential here to develop this further to examine in more detail the contribution that street trees might make to future urban environments and provide interesting insights into some of the challenges of city greening. For example, the author could have included more recent developments around urban green-infrastructure and developed the discussion about the future capacity of street trees within a range of disciplines. For example, in ecological terms in addition to the relatively brief consideration of species resilience to climate change, it would have been interesting to discuss conservation issues associated with street trees as refuges, stepping stones, and corridors for the colonisation and establishment of urban species. Similarly, within the public health and social contexts, there might usefully have been more discussion on the direct and indirect health benefits for an increasingly urbanised population, as well as a reflection on how trees can mitigate behavioural issues within the wider green infrastructure. The book is well written, with many useful and interesting illustrations. It has been extensively researched with references and notes comprising around 15% of the work. This is not a text on street tree management, although professionals engaged with this would find the book informative. Nor is it an ecological assessment of street trees and their associated species, although many ecologists will find much useful information here. Rather, it is a wide-ranging volume, providing a diverse approach to an important part of our past and present urban environments, within an authoritative and informative historical context. Environmental scientists from a diversity of backgrounds should find this work both of interest and use, and definitely an enjoyable read.